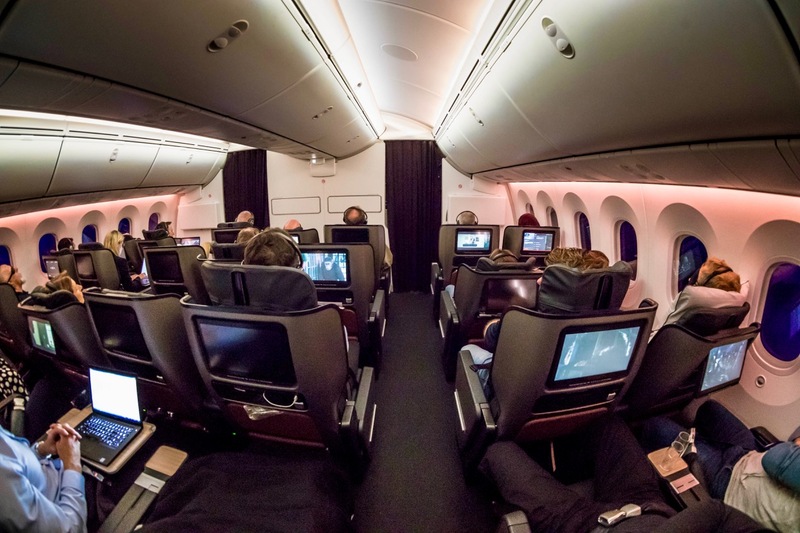 When Qantas announced the Dreamliner domestic trial flights schedule, I jumped at the opportunity to fly the aircraft before it commences international services. 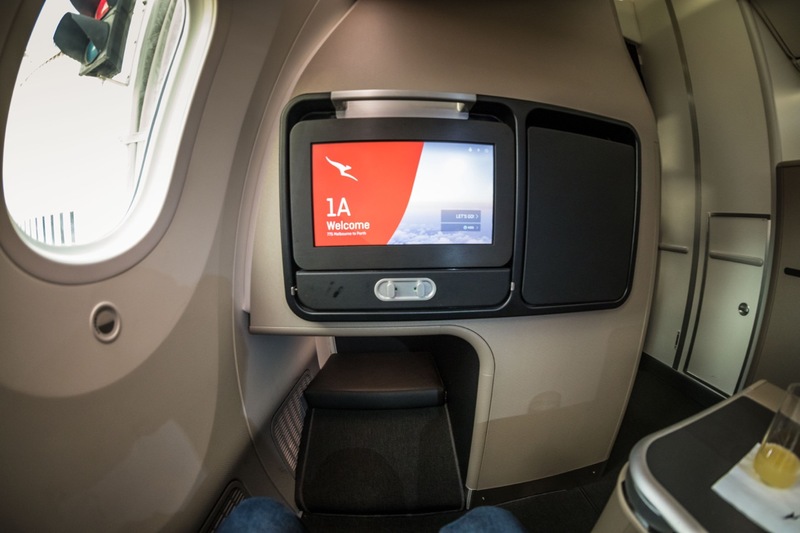 I wanted to maximise my time onboard, so instead of a quick Sydney to Melbourne dash, I booked a longer flight from Melbourne to Perth. 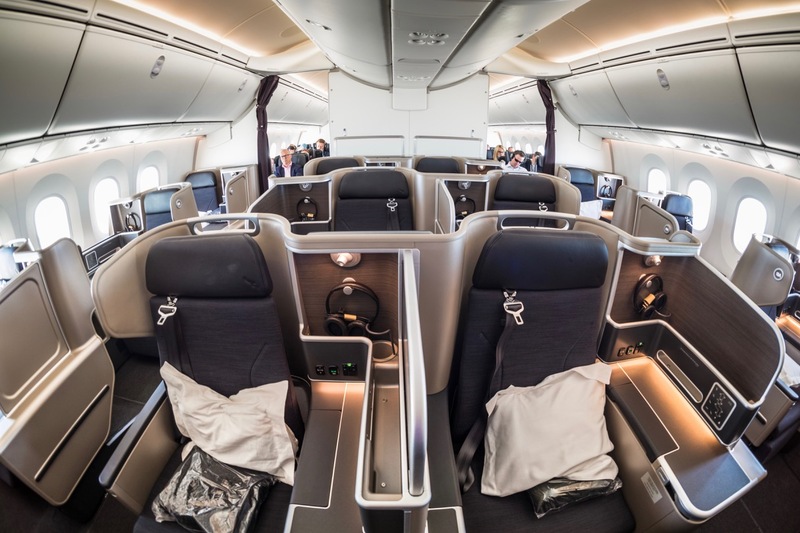 Qantas kicks off its first Boeing 787 international service from Melbourne to Los Angeles on 15 December 2017, operating six days a week. 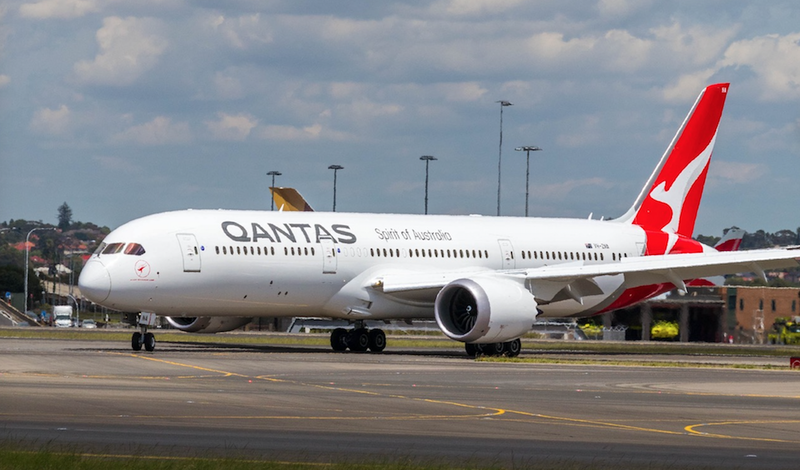 With the arrival of more aircraft, Qantas will then commence the Perth to London flights on 24 March 2017, followed by new and existing routes potentially to Europe, North America, South Africa and Chile. 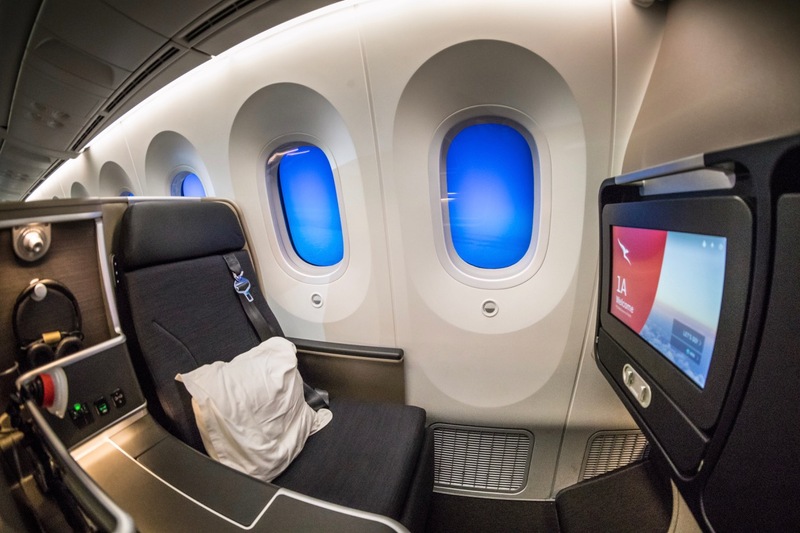 Qantas has fitted its Boeing 787 with 42 Business Suites, 28 Premium Economy and 166 Economy seats. 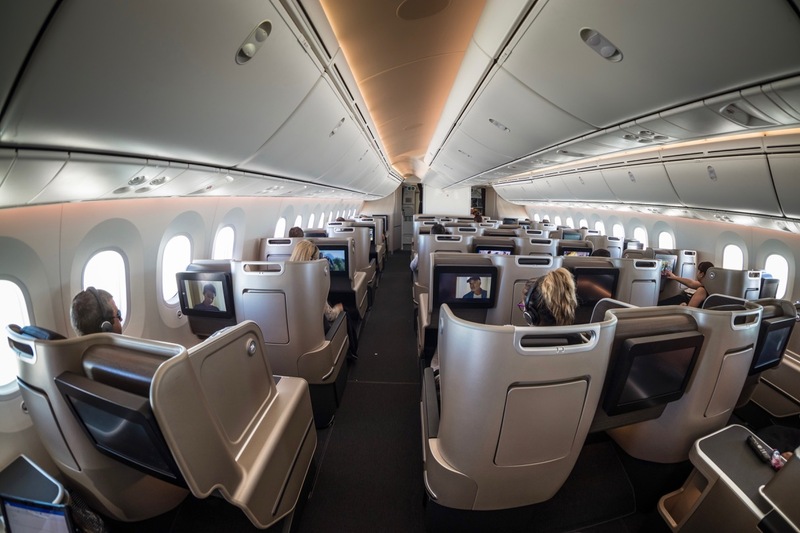 Qantas selected the same Thompson Aero Seating Vantage XL seat as fitted on its fleet of Airbus A330 and the same seat to be refitted onto the A380. 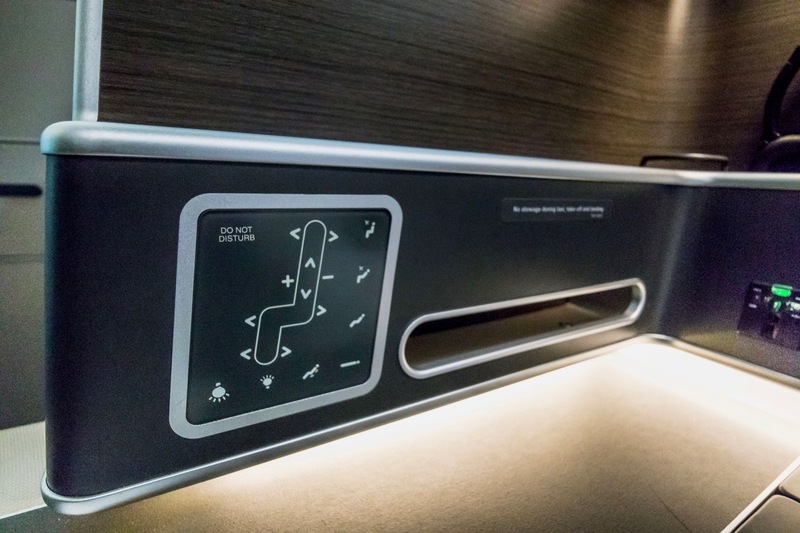 Aside from the manually adjustable privacy divider and darker colour scheme, the seat remains mostly unchanged from the A330 product. The seats are positioned in a staggered 1-2-1 configuration with 30 seats in the front cabin and 12 in the rear mini-cabin. 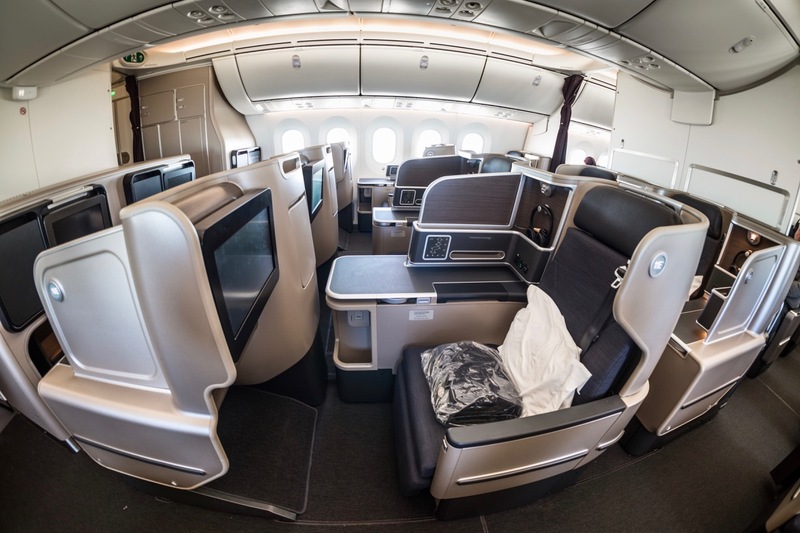 The seat is wide and very comfortable. 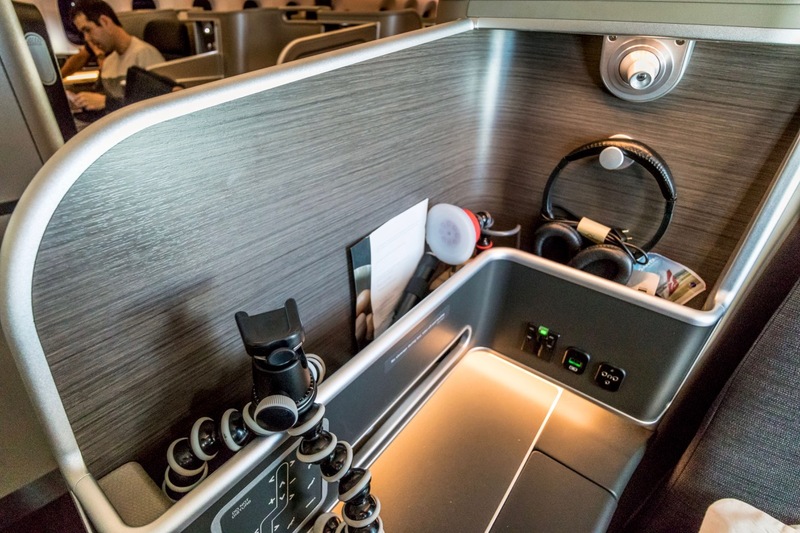 It can be partially reclined for takeoff and landing and converts to a two-metre flatbed. 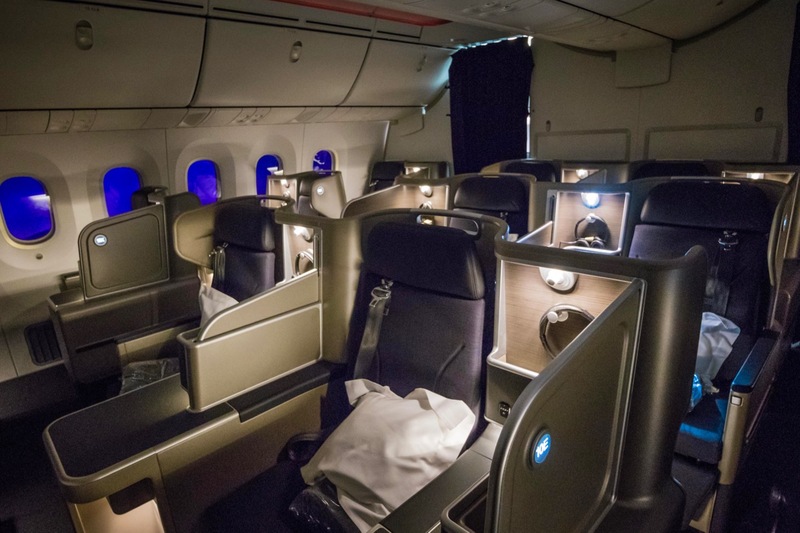 Immediately after takeoff, the crew dimmed the windows, however, they mentioned to me that I was free to adjust my window brightness accordingly. 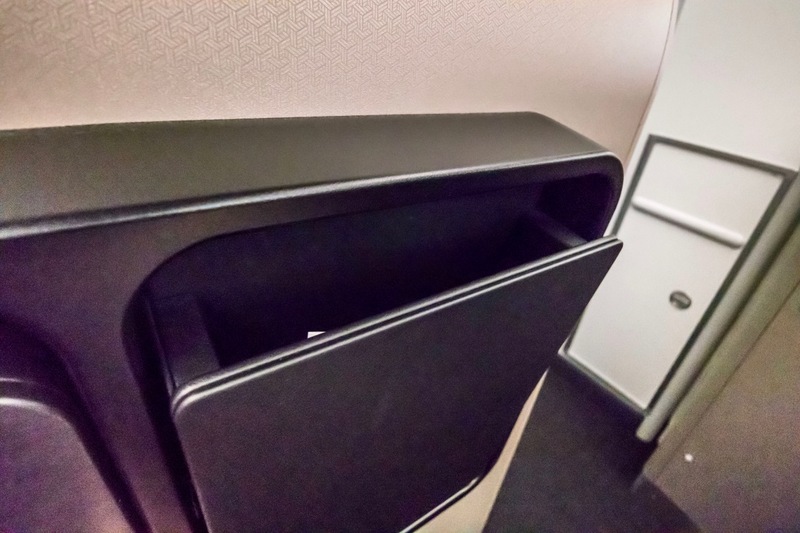 A shelf sits alongside the seat with an L-shaped storage compartment on top, which has a water bottle and headphone holder. 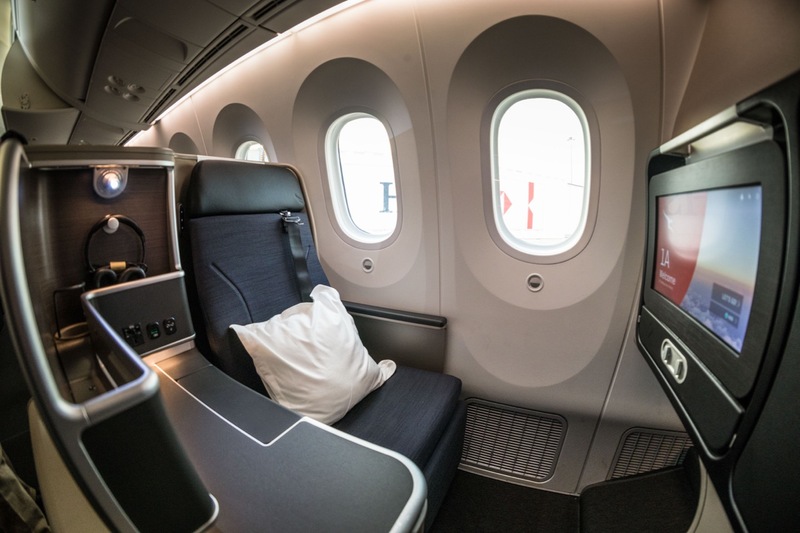 All window seats are labelled A or K, however, not all are true window seats. 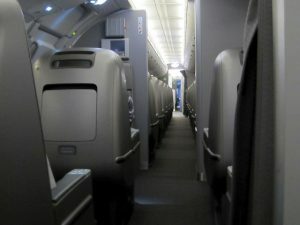 In this staggered seat configuration, only the odd-numbered seats are next to the window (with the bench and storage located on the aisle), whereas the even-numbered seats are positioned next to the aisle (with storage next to the window). 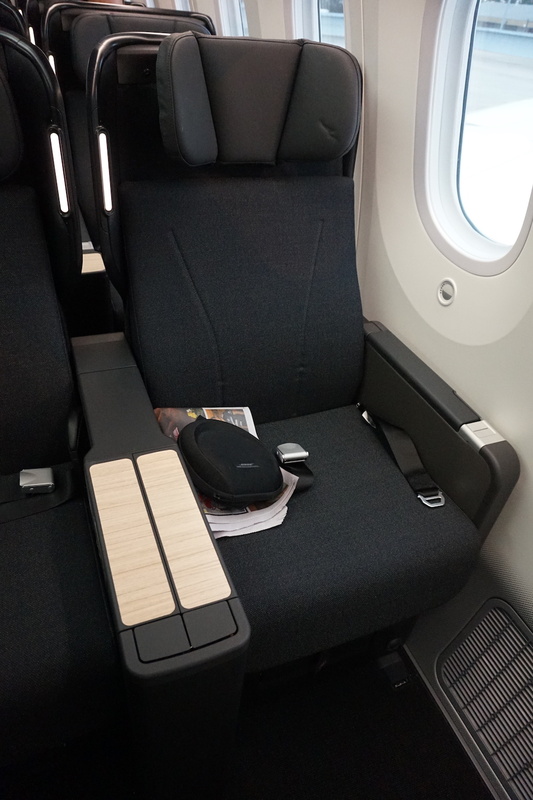 The middle E and F seats have an adjustable privacy divider which can be manually raised or lowered. 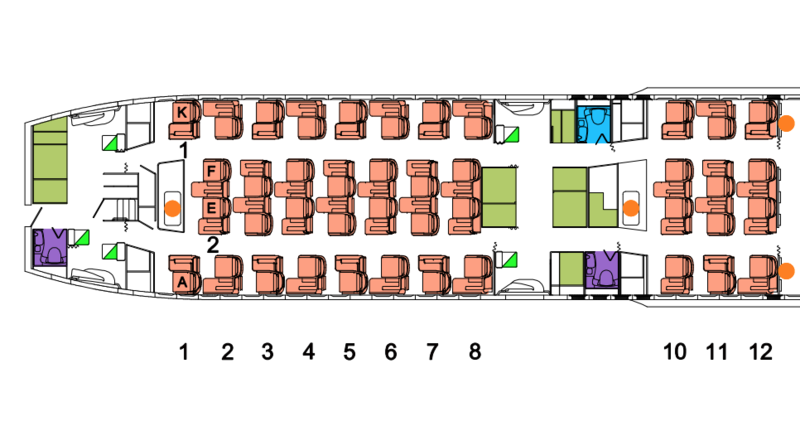 The bulkhead seats in Row 1 and 10 are the best seats in the cabin as the foot cubby is bigger than the non-bulkhead seats. Row 5 is missing a window in the fuselage. 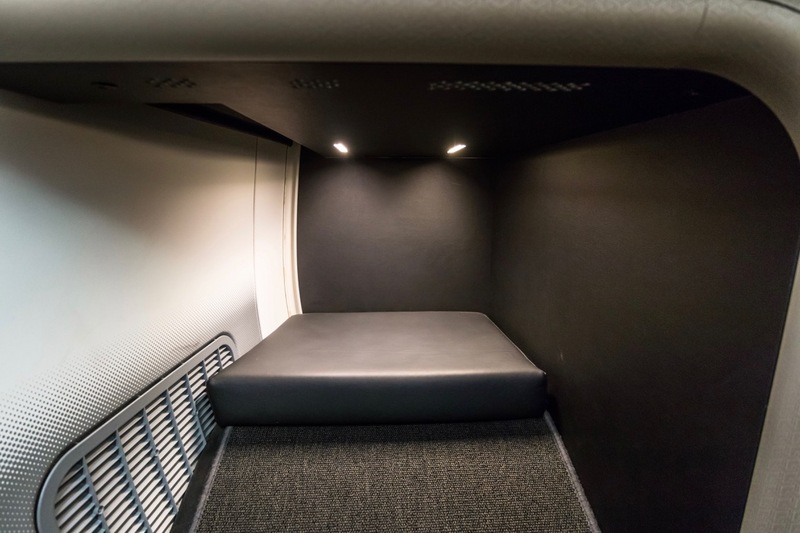 My only complaint with this seat design is that the storage unit is completely open, which is more of concern for window seat passengers, as the storage unit is easily accessible from the aisle. 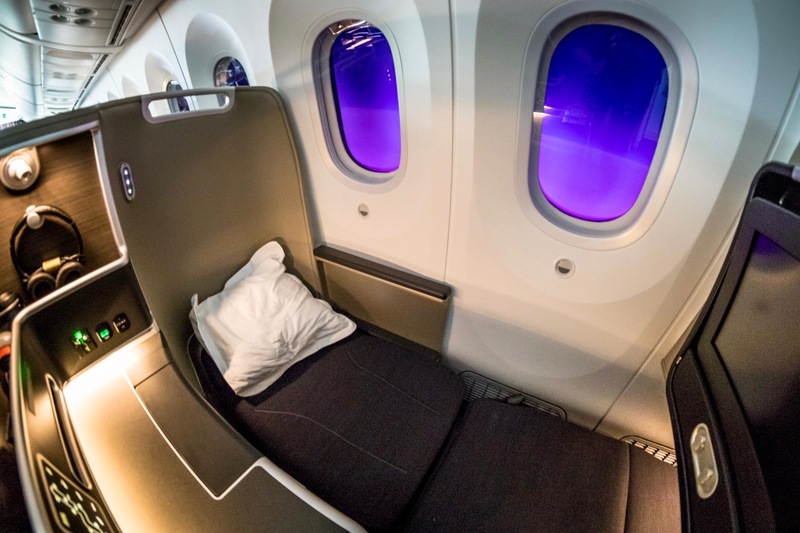 I personally wouldn’t feel comfortable leaving my personal belongings here whilst sleeping. 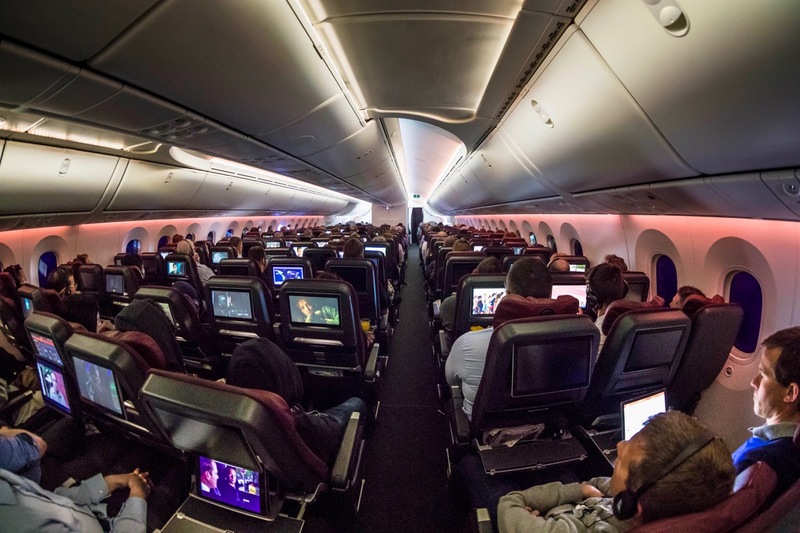 Only the bulkhead seats have an enclosed storage compartment under the IFE screen. 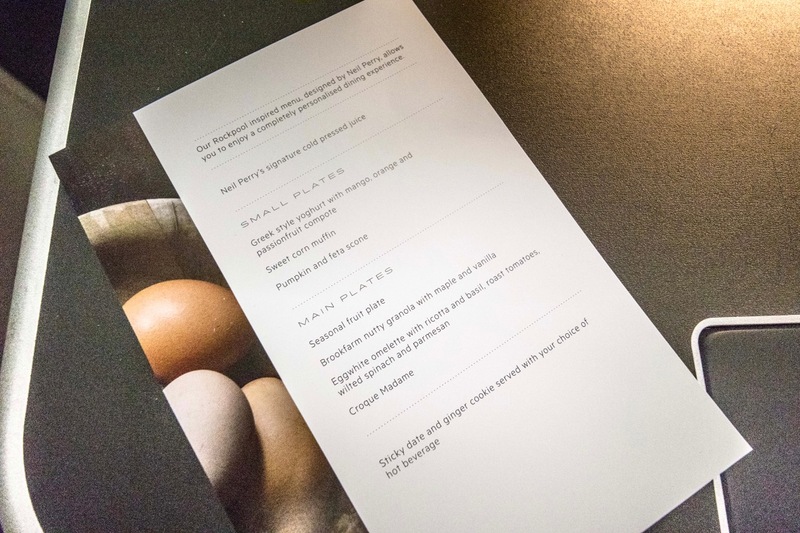 The service on my flight was professional and the meal flavoursome. I chose the egg white omelette with ricotta and basil, roast tomatoes, wilted spinach and parmesan for breakfast, followed by a sticky date and ginger cookie. 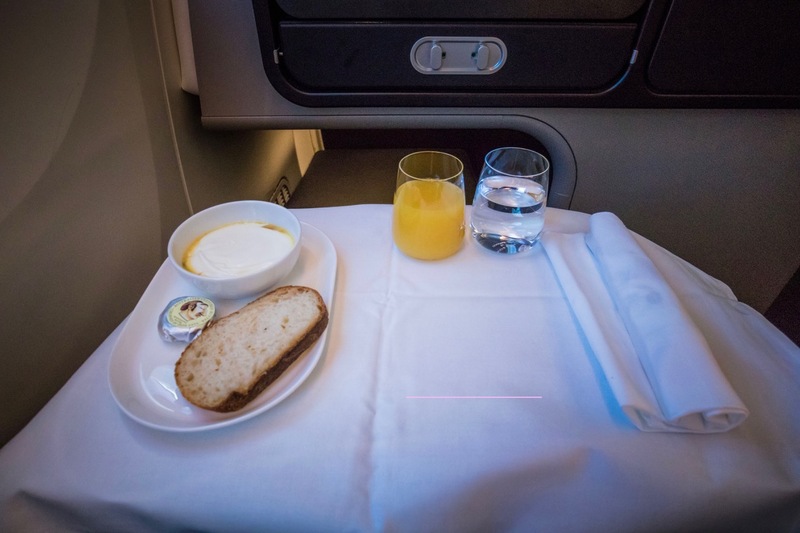 Qantas has introduced new tableware to coincide with the launch of the Dreamliner. 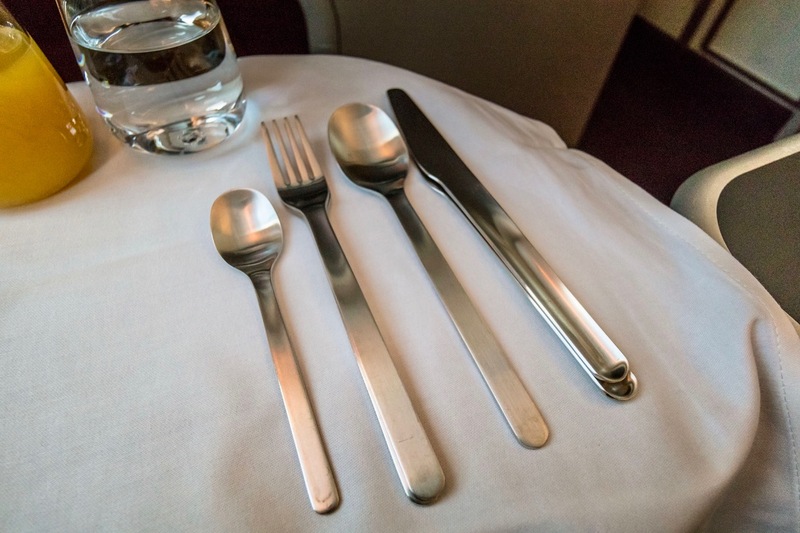 According to the airline, the 11% weight saving from the new tableware including fine bone china crockery, brush finished stainless steel cutlery and glassware will result in an annual saving of over half a million kilograms in fuel. 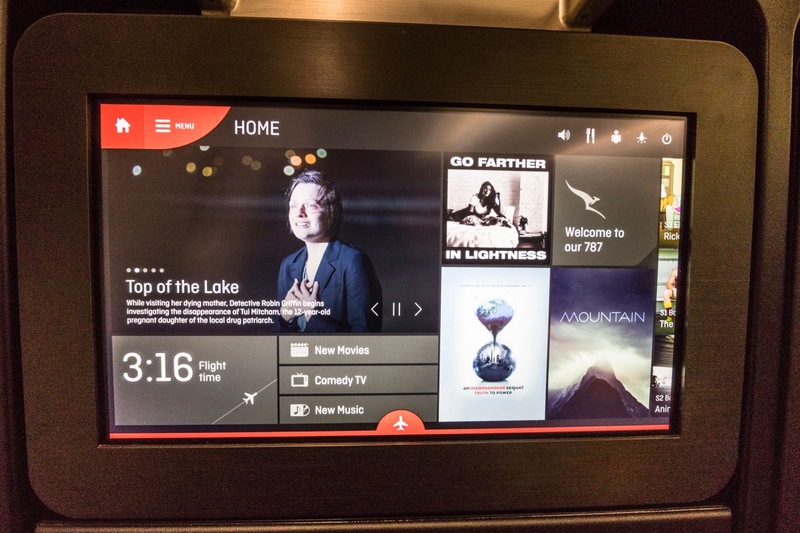 The inflight entertainment system has a 16-inch screen and offers tilt adjustment, so you will have no trouble viewing it when reclined or laying down in bed mode. There is a large selection of content, from new release movies and TV shows. 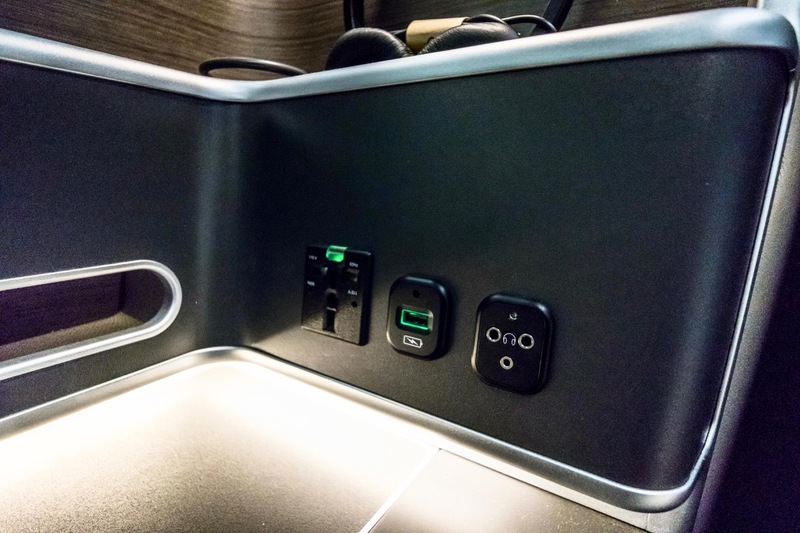 Power adapter, USB and headphone sockets are located close to the seat and allow you to charge devices in the storage unit. 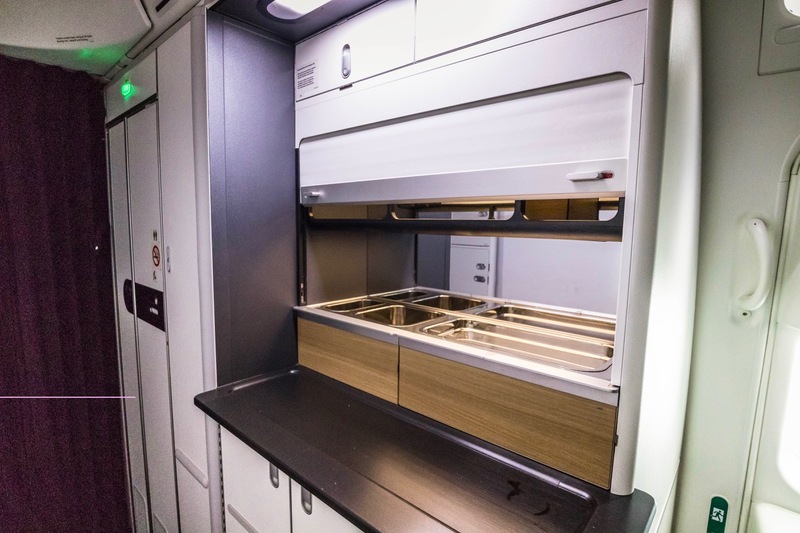 There is a self-service bar between the two Business Class cabins but no amenities were provided on this domestic flight. 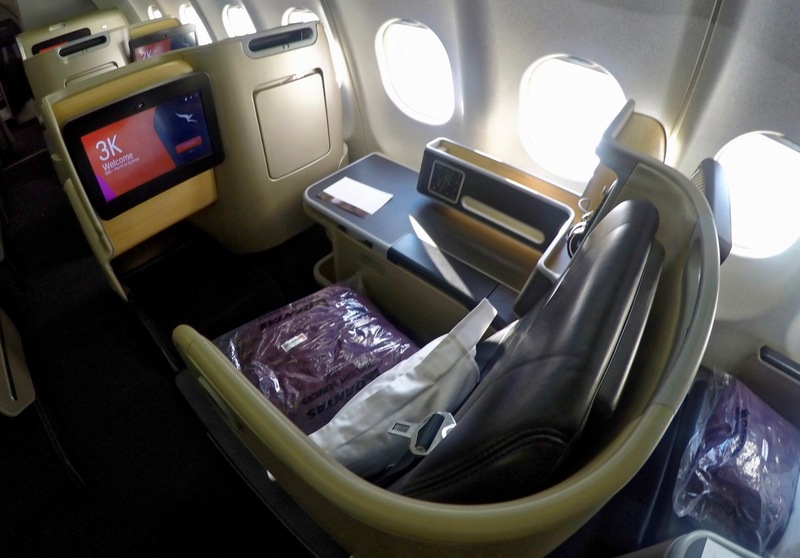 and two more are located in front of the mini-Business Class cabin, which Premium Economy passengers can also use. 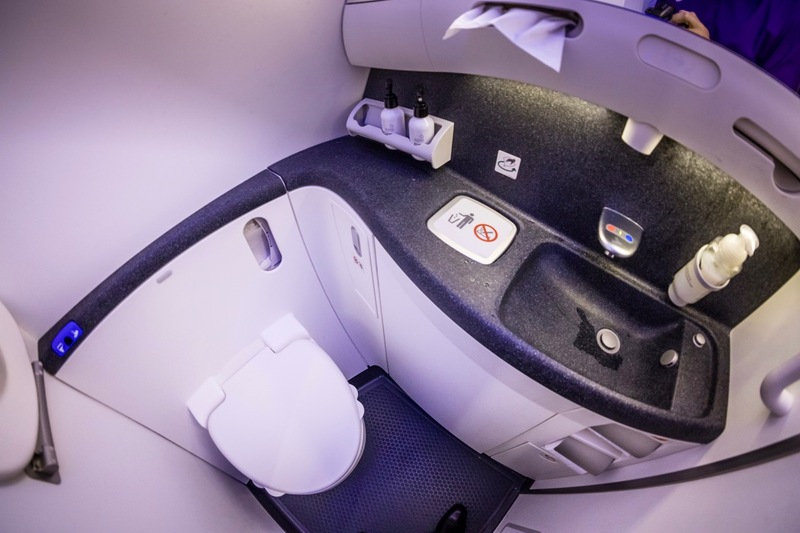 That means that there is more foot traffic in the mini-cabin because Premium Economy passengers will pass those three rows to use the bathroom. 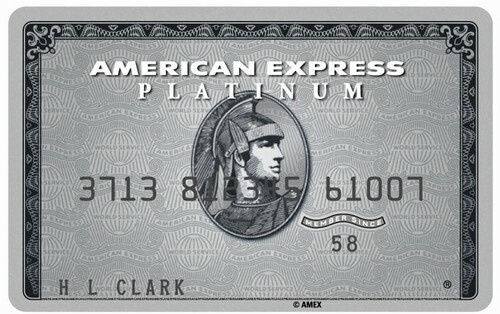 I booked this flight using 36,000 Qantas Frequent Flyer Points and ~$36 in taxes. 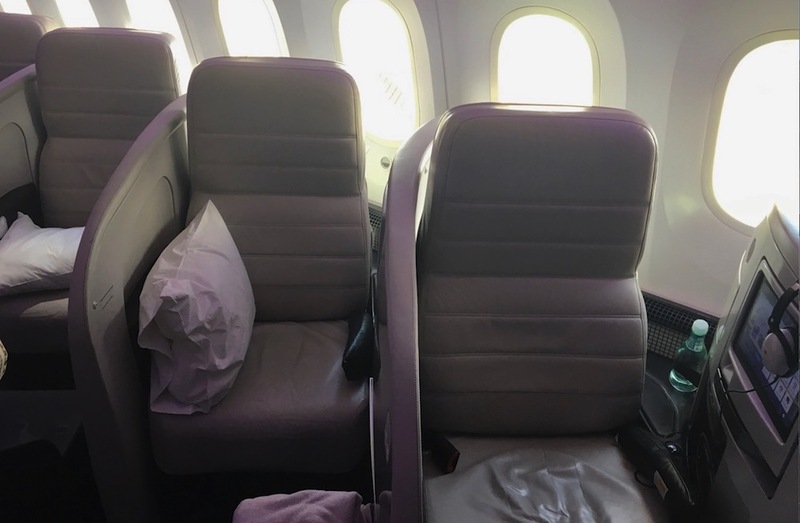 Given the cash fare at the time was $2,150, this provided a redemption value of 6c per point, which is triple our redemption target for Qantas Points. 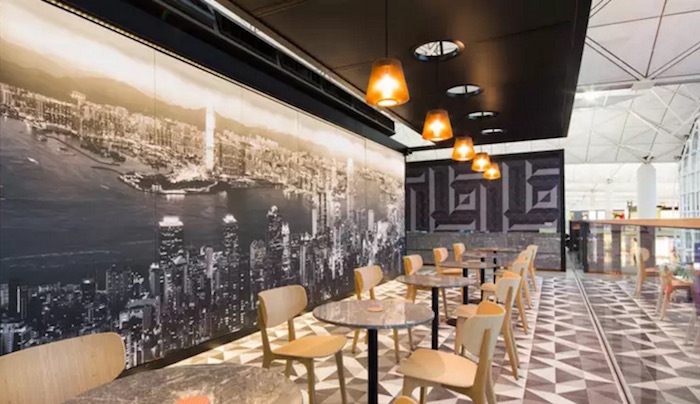 You could also use a number of other points currencies to book this flight, including with Alaska Mileage Plan and American Airlines AAdvantage (only 20,000 miles). 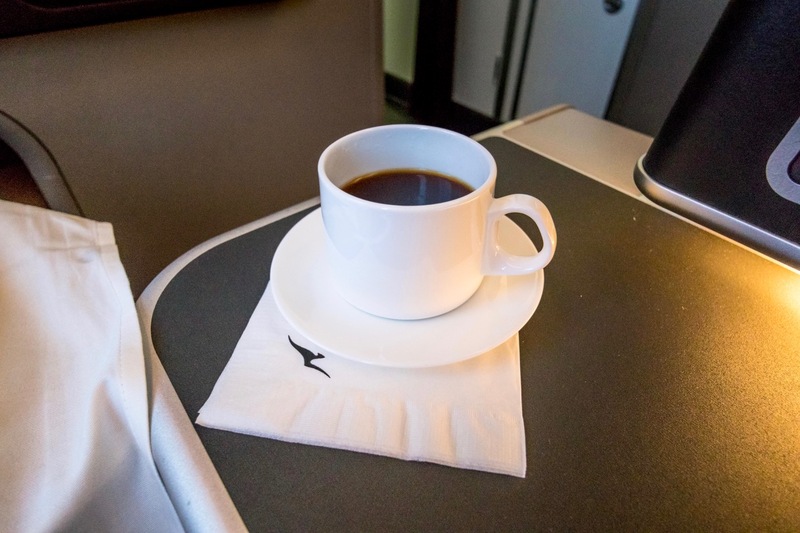 Departing Melbourne or Perth, Business Class passengers can use the Qantas Business Class Lounge. The highlight of this flight was by far the aircraft itself. 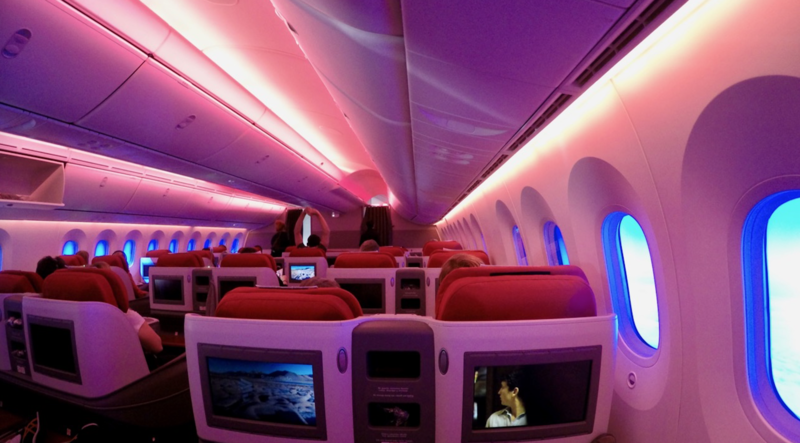 The Dreamliner is a beautiful aircraft to fly. 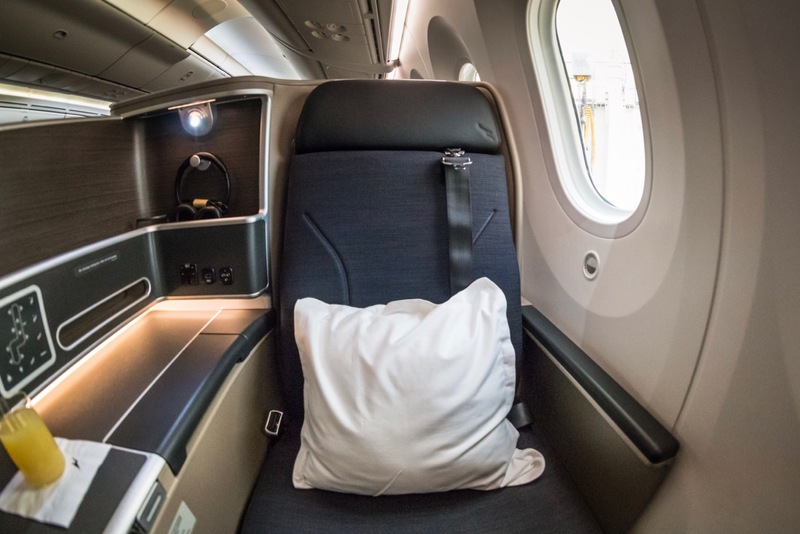 Larger dimming windows, higher cabin humidity, lower cabin pressure, a quieter cabin and a smoother flight mean you’ll arrive at your destination feeling better than flying an older aircraft. 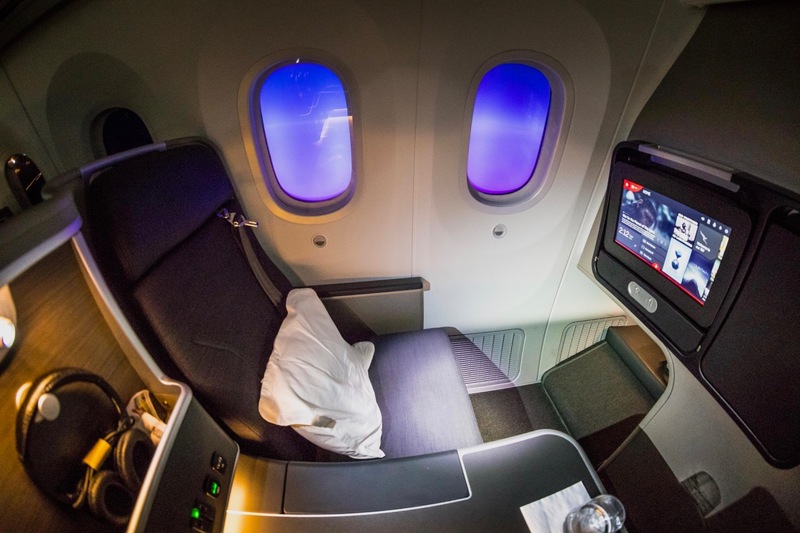 Plus watching the 787 wingflex through the enormous windows as the weight transfers on takeoff is a beautiful sight to behold for any aviation geek! 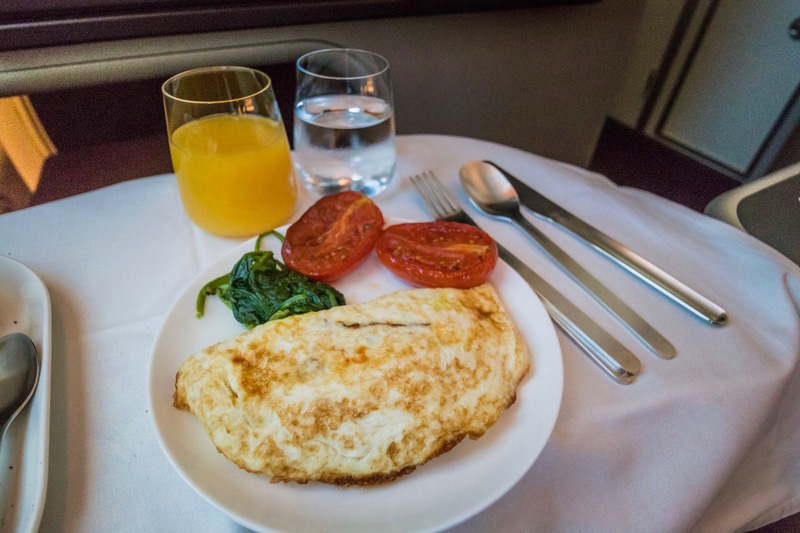 The customer service and food on my flight were on-point—it was obvious the crew are incredibly proud of their new aircraft. 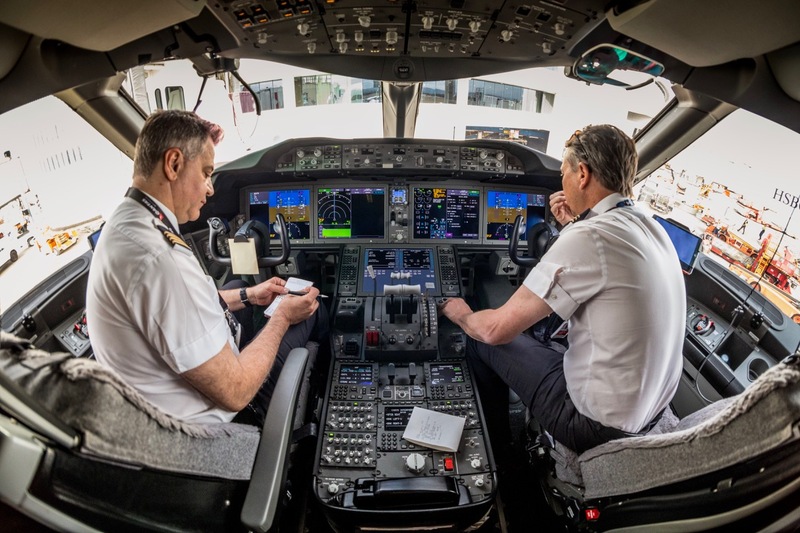 A final surprise was that after recognising my passion for aviation early on in the flight, the cabin crew offered me a tour of the cockpit when we arrived in Perth!